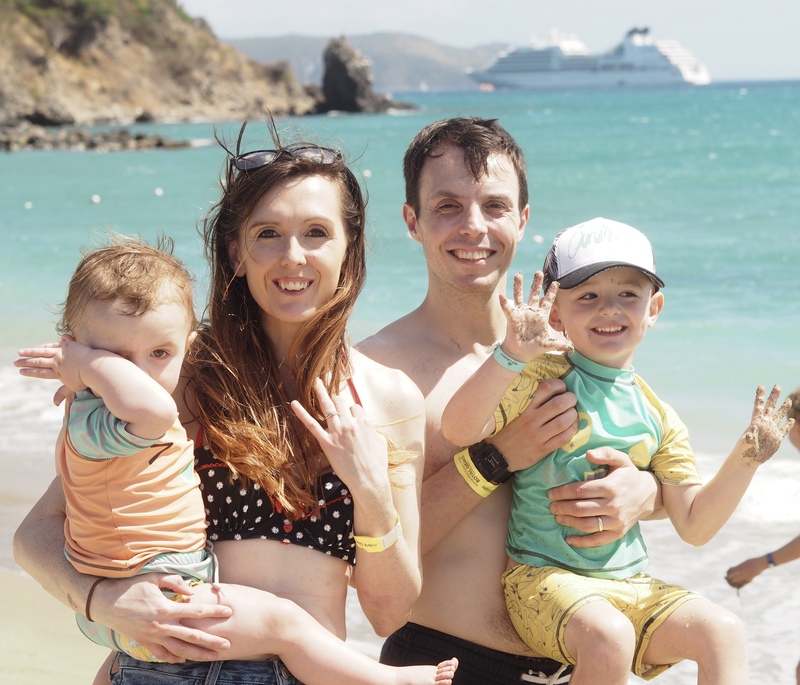 YOU might quickly spot a theme if you follow our Caribbean cruise posts, as we spent a fair bit of time enjoying the beach. 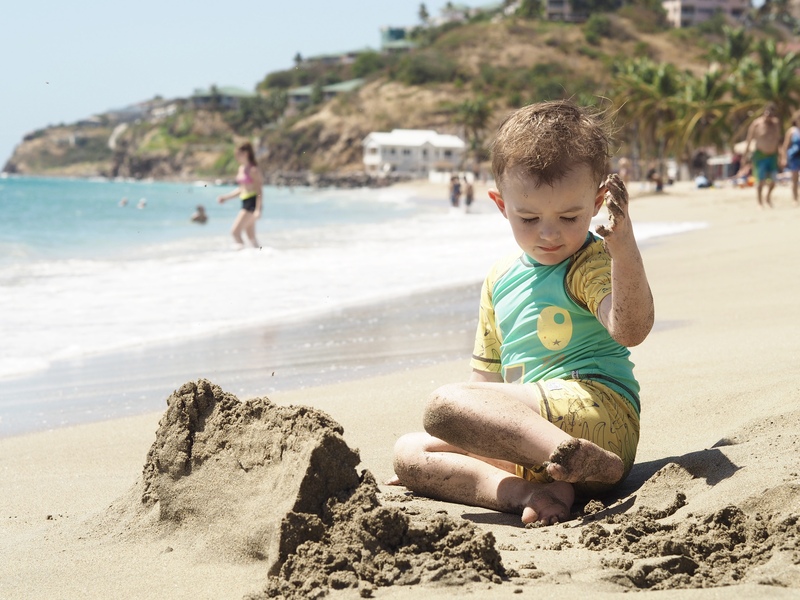 It’s funny really as we live by the sea, but wouldn’t spend an afternoon on the sand at home. Being in the Caribbean, it felt rude not to, so we made the most of the lovely weather and beautiful beaches while we could. 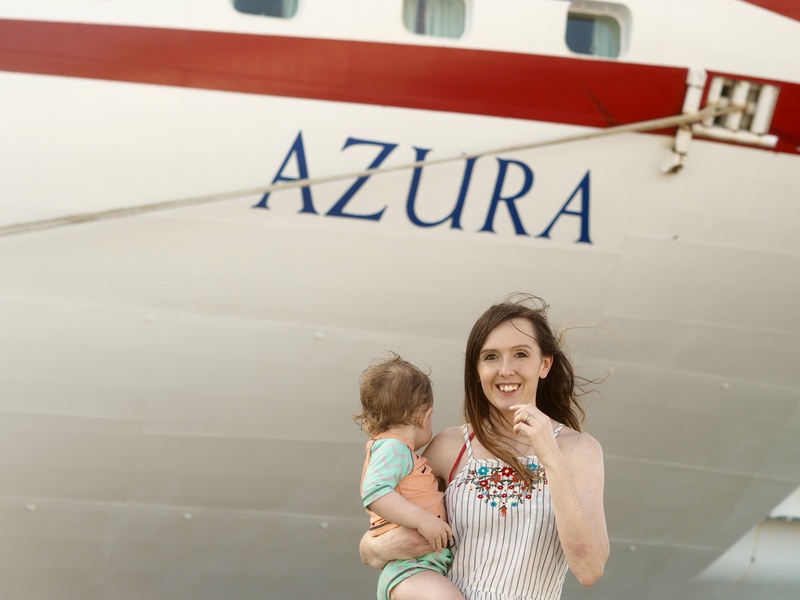 We had four stops in quick succession during our fortnight on board the P&O Azura, with St Kitts following St Lucia as our second port of the holiday. After going it alone the day before, we decided it would be a good idea to take a tour and see a bit more of the island. This time there was a free shuttle bus into the town of Basseterre as we’d docked slightly further out because there were two other ships in. 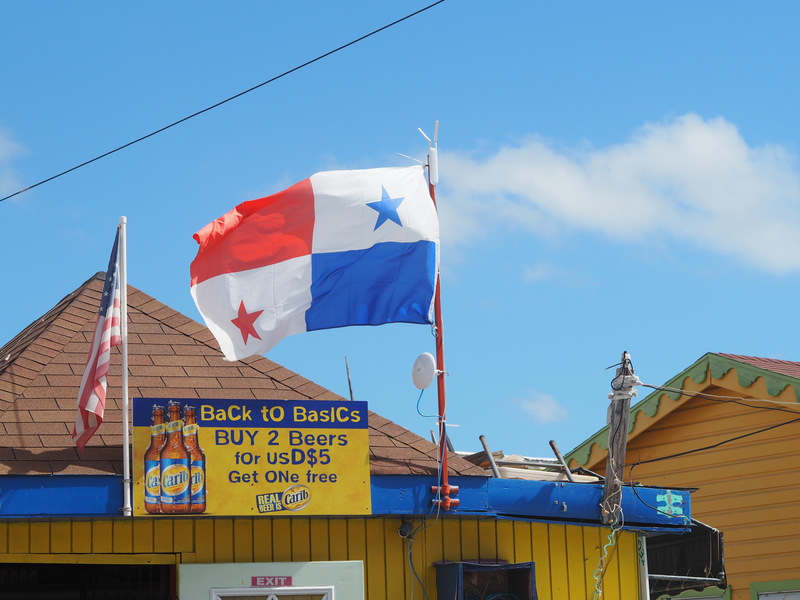 As with St Lucia, the port was full of people promoting their tours, and we chose one that would take us to see some of inland St Kitts, as well as giving us a couple of hours on the beach. 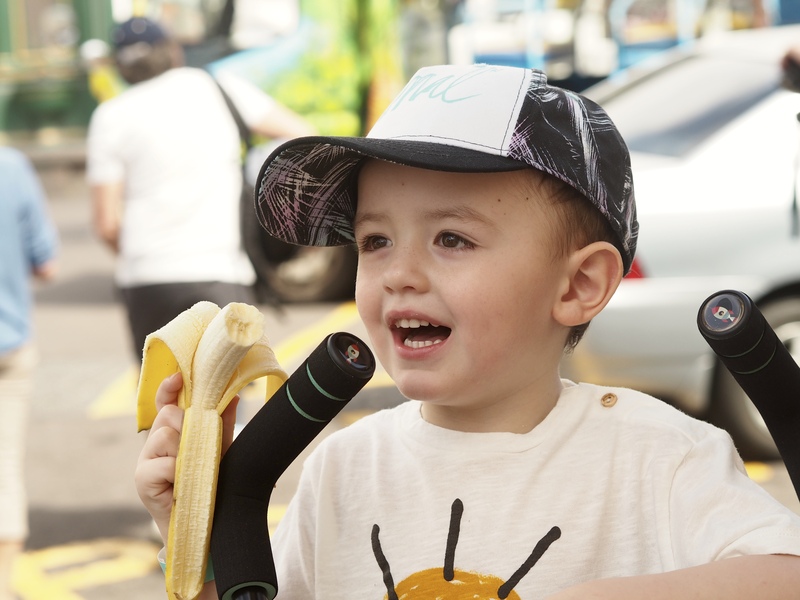 Our biggest boy had a fab start to the day as he spotted a man walking through the port with a monkey on his shoulder. He had so many questions about it, and brought it up pretty much every day of our cruise! The fact the monkey was wearing a nappy didn’t help his curiosity! We had half an hour to pass before our tour began so went for a little walk into town. We stopped at a square called Piccadilly Circus, where a roadside fruit stall was quickly spotted. 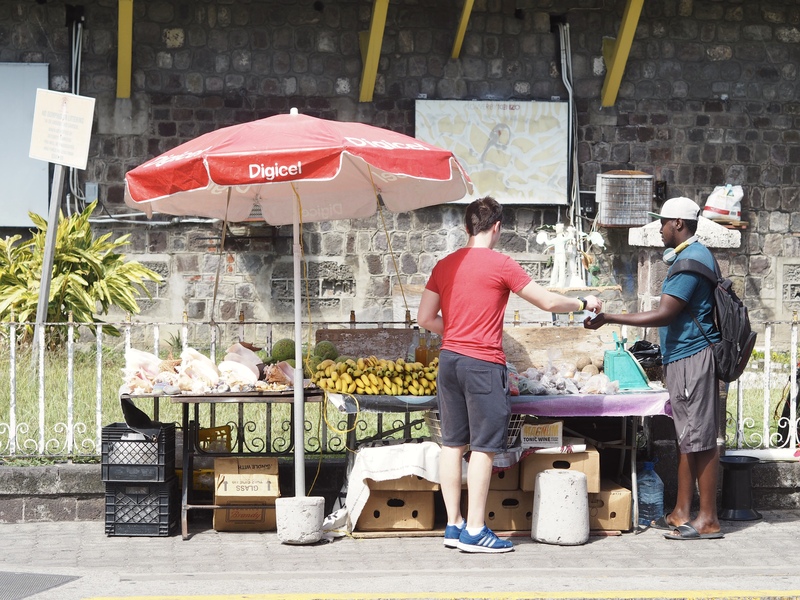 Just like in St Lucia, we had to buy some bananas for the boys (they turned into absolute banana fiends while we were away), and had a look at some of the market stands selling touristy bits. Our tour guide was ready and waiting, and I was pleased to see we were on an open sided little bus as it would be more of a novelty for the boys. Stew sat by the window with the biggest boy, and soon had the littlest on his lap too as both shouted hello to everyone we passed. We whizzed along, passing brightly painted houses, a pink school and glimpses of the blue sea through the trees. It was so colourful, and made me even more determined to paint our front door a pretty shade when we get home (I will win the pink battle!). We were also introduced en masse to the oldest man on the island, and had beeps from most of the cars we passed. Don’t worry, he didn’t hang out of the window while we were moving! The highlight for the boys was spotting a field of animals which were rescued by a university, and had our littlest shouting “DONKEY” in excitement. He kept the rest of the bus amused! It must have been too much for him as he soon fell asleep on my lap. 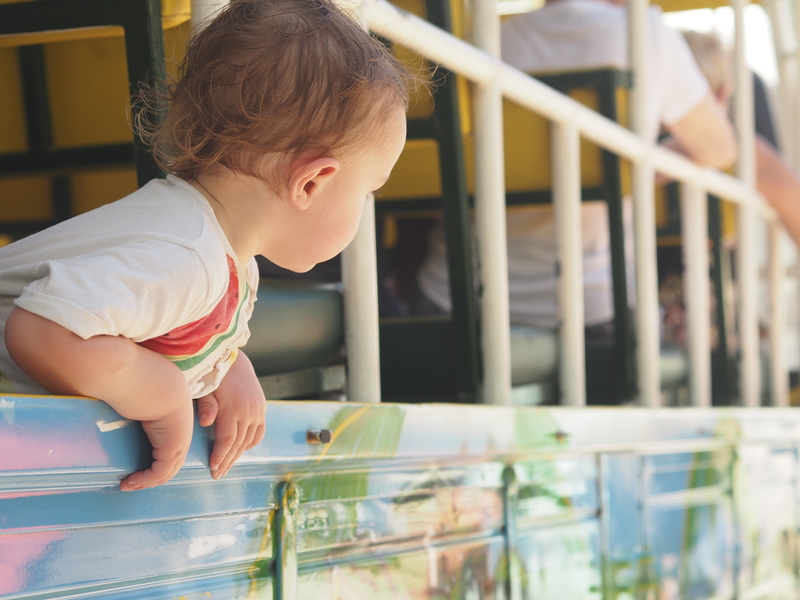 It was pretty much a perfect ride – our biggest boy leaning out of the window to see the sights, and our littlest snoring away, all with the sun shining through the open side of the bus. It was one of those rare moments when I felt like a model parent. It only takes one of these moments for my mind to start running away and planning to home school the boys as we travel the world … a girl can dream! Anyway, there was a bit of drama when we arrived at the rainforest stop as we attempted to get through a really narrow track with a work van coming towards us. We were leaning over the side of a bridge with a huge drop over the side, slowly trying to drive through when we heard the van’s tyre fall over the side of the road and the van tilted toward the verge. Our driver showed no concern and just squeezed through, so we have no idea what happened to them! The reaction from the other passengers was priceless – they went into proper panic mode! After that we needed a drink, and thankfully we had arrived at a craft market where we were scheduled to stop. The driver flipped the back of the bus open and set up a little bar with rum punch, Coke and water. 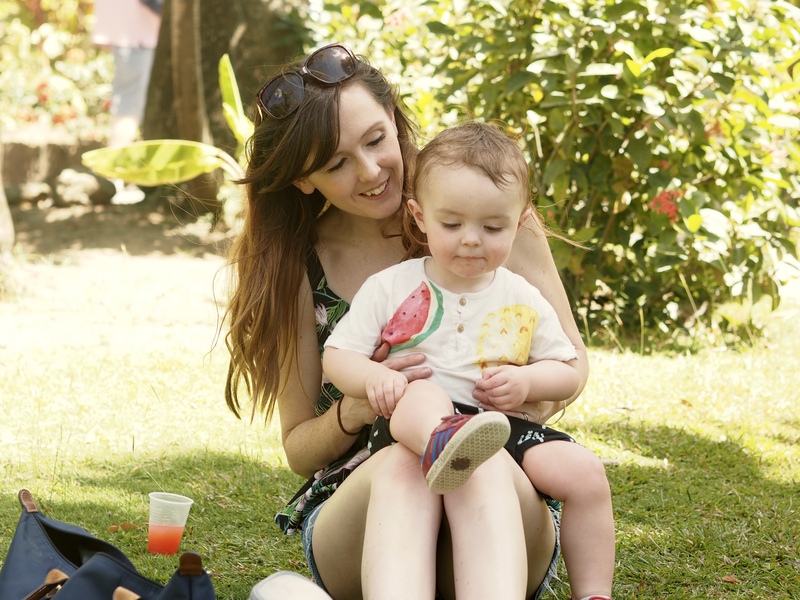 I went for a rum (of course), and we sat on the grass in the shade to enjoy the calm. The second half of the tour took us back to the coast, where we passed the Hilton hotel with its private beach, and a golf club. It was pristine, with immaculately cut grass and flake-free paint – completely different to the other side of the island where the locals live, which was a lot more rustic. 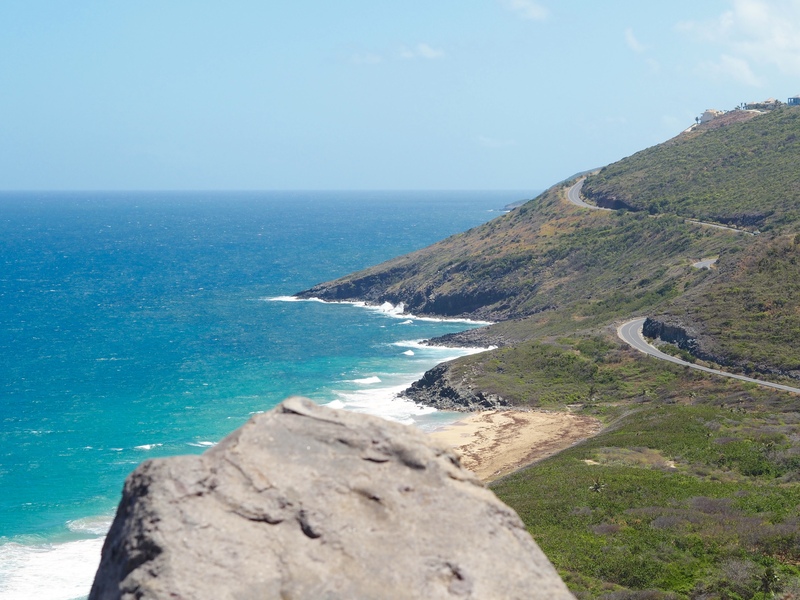 We stopped every so briefly at a point where you can see the Caribbean Sea on one side of the island and the Atlantic on the other. I’d been looking forward to seeing this as I’d read about it before we went, but was gutted that we didn’t stop long enough to get out and take some photos. We were stuck on the wrong side of the bus to get a decent photo, and I only managed to get one sea in! Of course the trip couldn’t go without a minor incident, and it happened right at the end. On the way back down the hill we saw something go flying out of the bus window. Our boys had been playing, and the littlest threw the biggest’s hat over his head. It was a bit breezy, and whoosh went the hat onto the road. I didn’t think the driver would stop, but he screeched to a halt and an elderly man in the row behind went running down the road to fetch it for us. I was so relieved because I’d spent weeks looking for a decent hat and really liked this one! Drama over, we pulled up at the beach in the blazing sun and quickly stripped down to our swimmies to cool down. We decided to hire a couple of sun beds, but it was a bit of a mission getting to them. The boys had taken their shoes off, then discovered the sand was burning hot, so we had to carry them along with our huge bag of stuff and the buggy … no mean feat in 29 degrees! 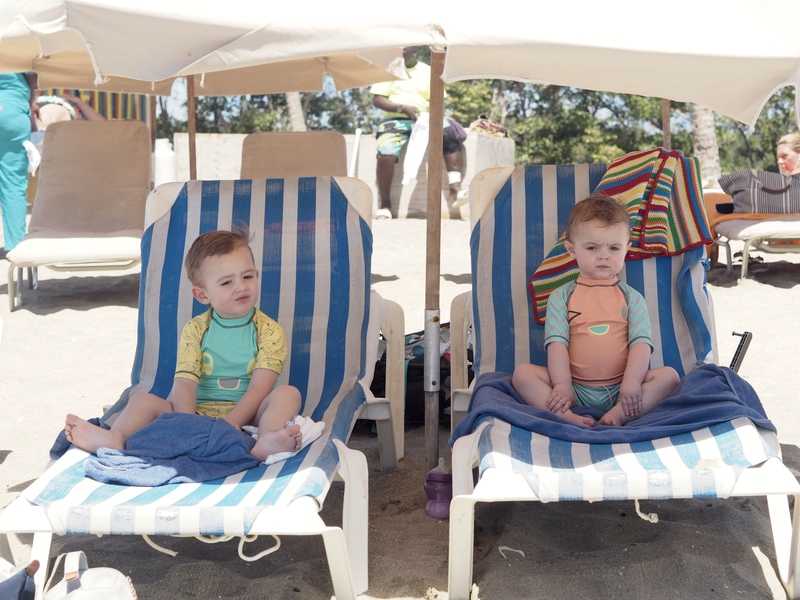 We earned those sun beds … which of course the boys promptly claimed. It didn’t take long before the biggest was up and about, throwing sand in the sea, digging holes and running away from the waves. 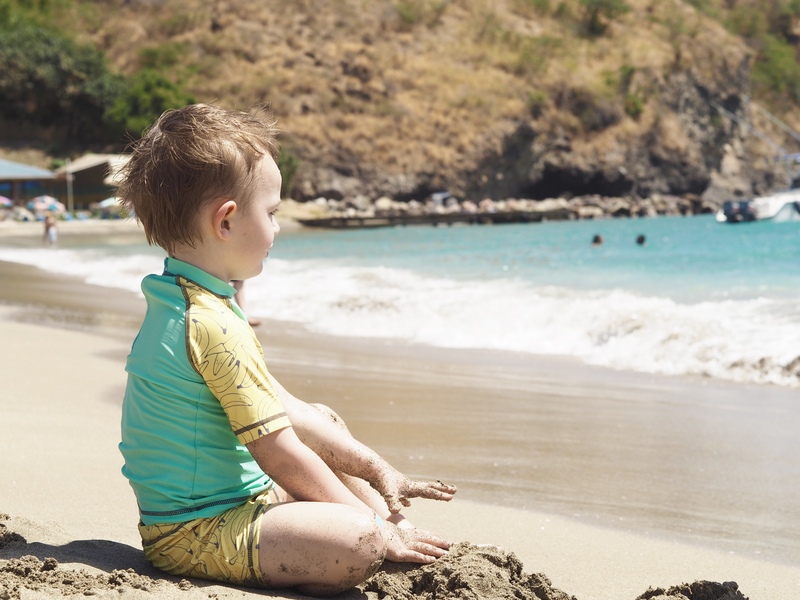 He loved being on the beach, and could have stayed there for hours playing. He popped back up to the sun beds now and again for a drink and snacks … Stew was ever-organised and had made sandwiches on the ship as a picnic. Our littlest boy stuck with his position under the parasol, deciding that sand really isn’t for him. It was nice to be able to lay next to him and people-watch from the shade. 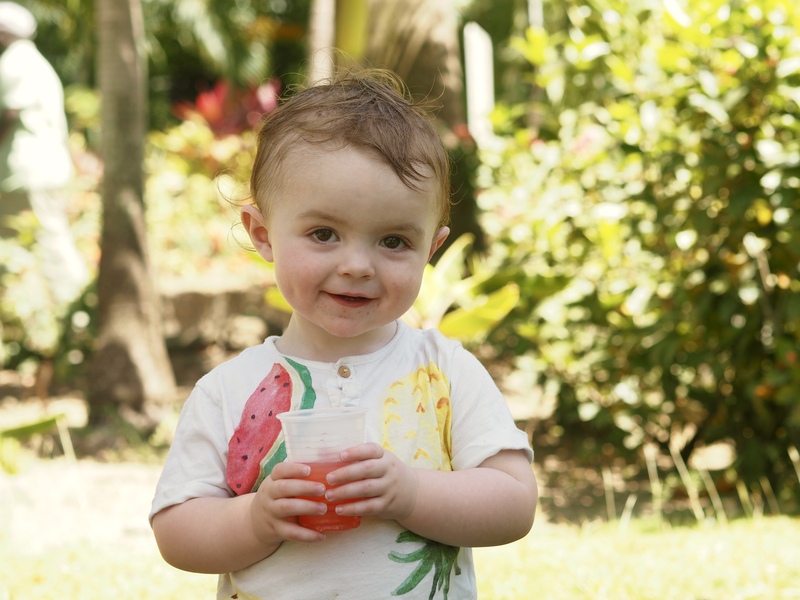 It was a much hotter day than the day before, so before we got back on the bus we went for a cold drink (and to attempt to wipe the sand off the biggest boy, which was more difficult than it sounds). For some reason, we had a proper air conditioned mini bus back to the port, which makes no sense when everyone was a bit sticky, covered in sun cream and probably leaving half the beach on the seats. Oh well! 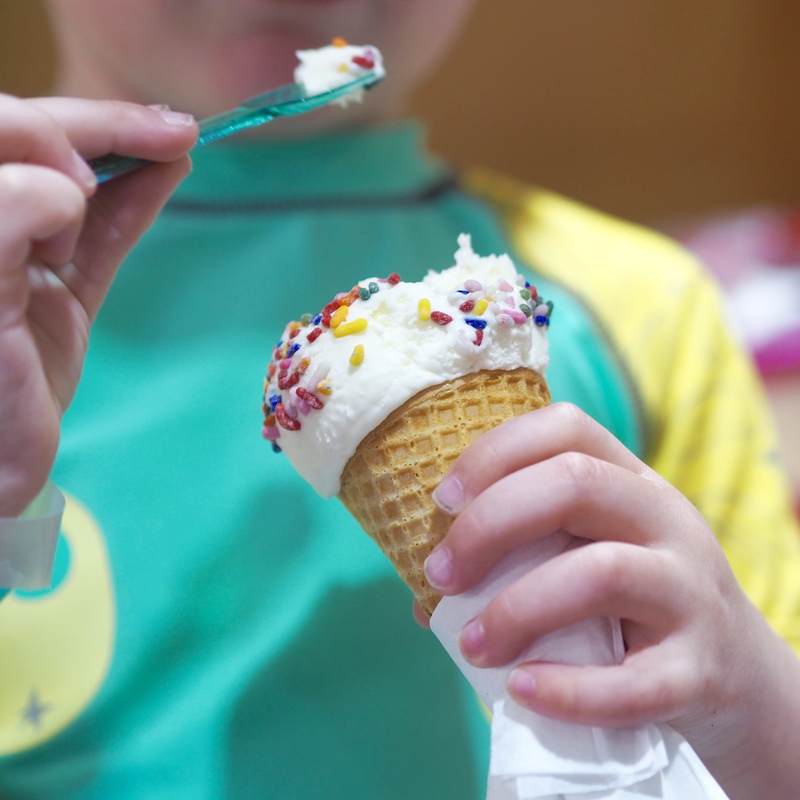 There was only one thing we hadn’t managed during our day at St Kitts, and that was an ice cream … so we made sure we bought some before heading back to the ship. Are you even in the Caribbean if you don’t have an ice cream?! It was also a sneaky little way of checking our messages etc using the cafe’s free wifi. It’s so expensive for an internet package on the ship that we didn’t bother, so it was nice to catch up on what was going on at home in little snippets. We hopped back on the bus to the ship, and were back on board with enough time for another evening swim before getting changed for tea. As we got in the DJ was playing Island Holiday, which was perfect for the setting. I won’t be able to hear any reggae songs without thinking of our cruise … there was a lot of Bob Marley over the fortnight! The light in the evening was gorgeously soft as the sun was so low in the sky. 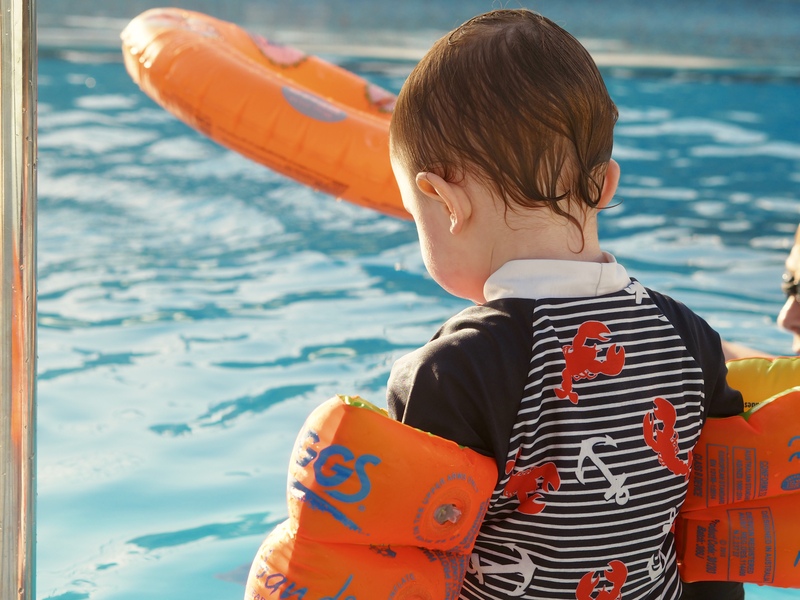 I couldn’t think of anywhere better to be … until we were wrestling two boys out of the pool as they were having too much fun to leave (a daily struggle!). They loved being in the water so much, and it was lovely having the weather to be out until nearly sunset without worrying about getting cold. 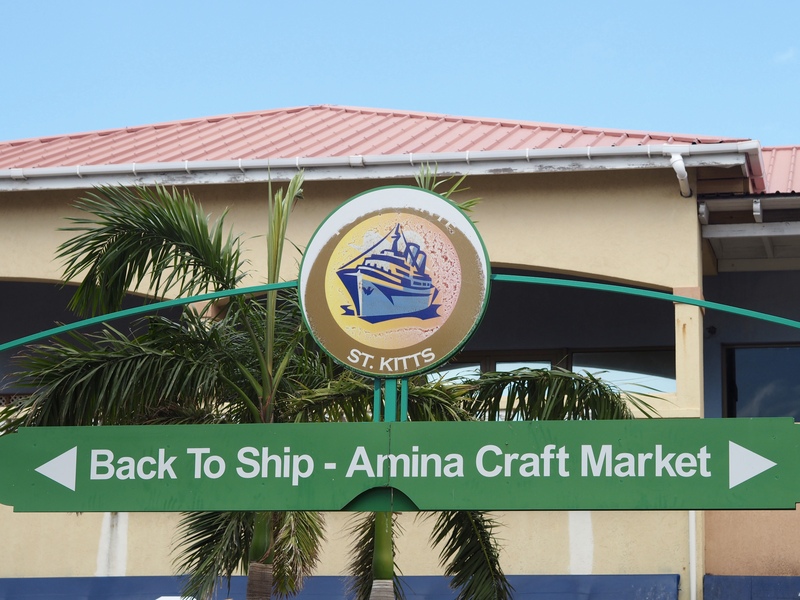 And that was it to our whistle stop tour of St Kitts as we set sail for Antigua the following day! 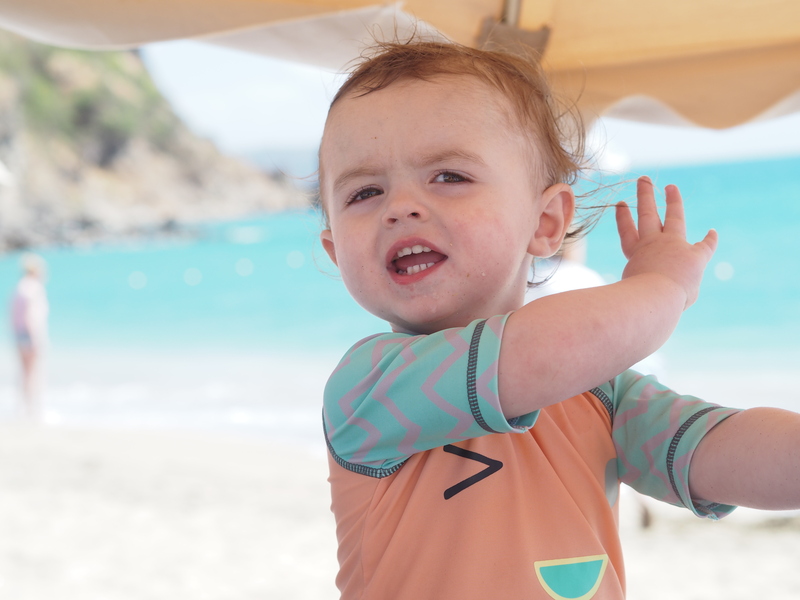 ← Life lately: A hectic month, with more to come!